By now, you’ve probably heard of indoor skydiving. iFLY has dozens of locations scattered around the globe where you can experience the thrill of skydiving without having to jump out of a plane. However, they are offering something completely unique to help promote an upcoming Dreamworks film. 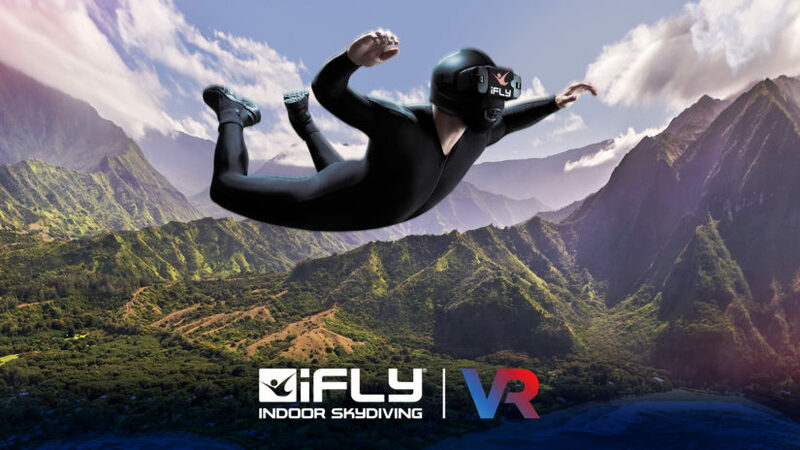 That’s right, several months ago iFLY introduced virtual reality to their indoor skydiving centers. Up until now, you could choose from two unique simulations, but neither revolved around intellectual property. However, with a new DreamWorks movie release, you can now soar with Toothless in this new adventure. The new experience is based on the new How to Train Your Dragon: The Hidden World headed to theaters Spring 2019. Based on their marketing, it seems iFLY is looking to gain younger flyers and get them hooked on indoor skydiving. Would you try indoor skydiving with virtual reality? This entry was posted in Outside The Parks and tagged dreamworks, how to train your dragon, iFLY, Virtual Reality. Bookmark the permalink. Trackbacks are closed, but you can post a comment.